In celebration of Sony's DVD release of CLOUDY WITH A CHANCE OF MEATBALLS which was released Tuesday, January 5th I have a fun giveaway for you all my readers! of Meatballs hardcover book and also a ratbird plush! Giveaway ends on Tues. Jan. 12th, 2010! Cool! We just bought this DVD and would love to win the ratbird plush and the hardcover book! This book and plush would be great for me and my kids! My kids would love to read this! This book would be awesome to win! My boys would love love lLOOOOOVEEE this. I follow your blog via Google Friend connect and follow you at twiiter too. Got your button on my blog's sidebar at www.cherrymischievous.com. What a cool give away as the mom to 10 this would be a fun one to win!! I know this would be a big hit with my nieces and nephews. Well my husband too. The plush and book would be fun after we just saw the movie. Thanks for the great giveaways Shauna! I'd love to give this to my nephews! I haven't seen this movie yet, but it looks so fun! We just wanted ths movie last night, it's one of our favs. I didnt even know there was a book to the movie how sad is that!?! My son loved this movie! Count me in please! Yes, I just clicked before commenting!! 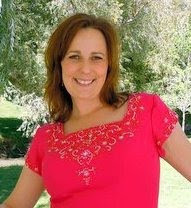 I moved your blog entry to a main section i will be using for giveaways ..on top my blog page.. 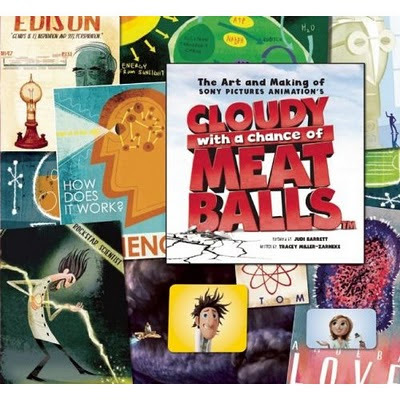 The Making of Cloudy with a Chance of Meatballs book would be fun to read! What a fun book to make some child happy at Christmas. I'd love to win this one also! Thanks for the chance! We loved the movie. My husband was laughing out loud at the movie theater and that says a lot. Love to win this - thanks! 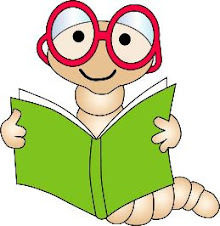 My New Year's Resolution was to read at least one book this year. I hope this it! I would love to win this prize! Thanks for the chance! Thanks very much for a chance to win this great book and plush! Oh, we would love to win this classic!